[N]o term of imprisonment imposed on a person under this subsection shall run concurrently with any other term of imprisonment imposed on the person, including any term of imprisonment imposed for the crime of violence or drug trafficking crime during which the firearm was used, carried, or possessed. Under Graham, this provision of § 924(c)(1)(D) is unconstitutional as applied to Mathurin, a juvenile offender convicted of non-homicide offenses. To apply the statute in accordance with the Eighth Amendment, severance of the constitutionally offensive portion of § 924(c)(1)(D) is necessary. Judge Cooke ends up finding the rest of the statute can be saved and sentences James Mathurin to 40 years in prison, meaning he will get out in his 50s, instead of spending the rest of his life in jail. Here's the entire order. While common in state court, pretrial diversions are so rare in the South Florida federal system that Altonaga said it left her “speechless,” and appeared to reflect “a kinder gentler” prosecutorial office. They happen so infrequently, she added, that it was unclear whether the clerk’s office in the downtown Miami courthouse knew how to process one. The idea is to give someone facing charges an opportunity to avoid prosecution through a program designed by the U.S. Probation Services, such as doing community service or perhaps taking a civics class. Mestepey said the Department of Justice and U.S. Attorney’s office consult through their chain of command on a “pretrial diversion” package. “Politics do not play a role in the decision,” he added. In court, the case prosecutor, Olivia S. Choe, also raised with the judge the issue of what she called “pretrial publicity” in the case. The New York Times, Miami Herald, CNN and Wired magazine had all put a spotlight on the case of the combat vet turned captive, with the Associated Press distributing a version of The Herald’s article. The judge seemed unconcerned. “I read one,” she replied, without specifying. 1. Mark Cuban files a pretty funny pleading with a picture from the championship. 2. The State AG's office has asked Judge Martinez to reconsider his ruling finding the Florida death penalty unconstitutional. 3. Strangely, the U.S. v. Rojas case (finding the Fair Sentencing Act applied to all defendants sentenced after August 2010) has disappeared from the 11th Circuit website. "Reading Dante is unquestionably more cultured and intellectually edifying than playing Mortal Kombat." Says Justice Scalia in today's 7-2 opinion in California v. Entertainment Merchants Association, striking down a California law that restricted the sale or rental of violent video games to minors. California’s argument would fare better if there were alongstanding tradition in this country of specially restricting children’s access to depictions of violence, but there is none. Certainly the books we give children to read—orread to them when they are younger—contain no shortageof gore. Grimm’s Fairy Tales, for example, are grim indeed. As her just deserts for trying to poison Snow White, the wicked queen is made to dance in red hot slippers “till she fell dead on the floor, a sad example of envy and jealousy.” The Complete Brothers Grimm Fairy Tales 198 (2006 ed.). Cinderella’s evil stepsisters have their eyes pecked out by doves. Id., at 95. And Hansel and Gretel (children!) kill their captor by baking her in an oven. Id., at 54. FOOTNOTE 4: JUSTICE ALITO accuses us of pronouncing that playing violent video games “is not different in ‘kind’ ” from reading violent literature. Post, at 2. Well of course it is different in kind, but not in a way that causesthe provision and viewing of violent video games, unlike the provision and reading of books, not to be expressive activity and hence not toenjoy First Amendment protection. Reading Dante is unquestionably more cultured and intellectually edifying than playing Mortal Kombat.But these cultural and intellectual differences are not constitutional ones. Crudely violent video games, tawdry TV shows, and cheap novels and magazines are no less forms of speech than The Divine Comedy,and restrictions upon them must survive strict scrutiny—a question to which we devote our attention in Part III, infra. Even if we can see in them “nothing of any possible value to society . . . , they are as muchentitled to the protection of free speech as the best of literature.” Winters v. New York, 333 U. S. 507, 510 (1948). Friday afternoon was a rare time in the 11th Circuit -- two published opinions in favor of criminal defendants. remand to the district court for re-sentencing. sentence on Counts I and II under 21 U.S.C. §§ 841(a)(1), 841(b)(1)(A), (C), and 846.
information. We affirm the judgment of conviction on Counts I, II, and IV. "Their lawsuit is like Castro trying to seize Miami homes from families who fled from Cuba. Their lawsuit, if they win it, will create a precedent that Castro and Chavez can come in and sue every political refugee in Miami and seize their houses." That's Mike Tein on the cover of today's DBR. Plus I love the suit, but could never pull it off. The constitutional guarantee that a defendant be able to confront his accusers means prosecutors must produce even the technicians involved in the specific laboratory tests used in his trial, the Supreme Court ruled Thursday. In a case involving a drunken driver from New Mexico, a majority of the court reinforced its recent decisions that fortified the right of defendants to cross-examine witnesses, established in the Sixth Amendment. The rulings have scrambled the court’s usual ideological pairings, with Justices Antonin Scalia and Ruth Bader Ginsburg the most vigorous defenders of defendants’ rights in such circumstances. Ginsburg wrote Thursday’s opinion, which said defendant Donald Bullcoming should have had the opportunity to cross-examine the lab analyst who provided the main evidence in his trial: a lab report showing his high blood-alcohol level. New Mexico prosecutors instead had called another analyst who had no role in performing the specific test. “The Sixth Amendment does not tolerate dispensing with confrontation simply because a court believes that questioning one witness about another’s testimonial statements provides a fair enough opportunity for cross-examination,” Ginsburg said. Scalia and Justices Clarence Thomas, Sonia Sotomayor and Elena Kagan agreed with the decision, but only Scalia joined Ginsburg’s opinion in full. Judge José Martinez granted a writ of habeas corpus today on the ground that Florida’s death penalty process did not afford due process because a judge, not a jury, decided that Paul H. Evans must die. Rather, a jury had recommended that Evans die by a vote of 9 to 3 without specifying what aggravating factor or factors led to that conclusion. There was no indication that a majority of jurors agreed on the factors that convinced them to recommend the execution. This is incorrect. Mr. Evans’ death sentence became final (for retroactivity purposes) in October of 2002, when the Supreme Court denied certiorari in Evans v. Florida, 537 U.S. 951 (2002). Ring was decided in June of 2002 which makes it applicable to Mr. Evans’s petitions ... . There are no specific findings of fact made by the jury. Indeed, the reviewing courts never know what aggravating or mitigating factors the jury found. It is conceivable that some of the jurors did not find the existence of an aggravating circumstance, or that each juror found a different aggravating circumstance, or perhaps all jurors found the existence of an aggravating circumstance but some thought that the mitigating circumstances outweighed them. ... After the jury's recommendation, there is a separate sentencing hearing conducted before the judge only. ... The defendant has no way of knowing whether or not the jury found the same aggravating factors as the judge. Indeed, the judge, unaware of the aggravating factor or factors found by the jury, may find an aggravating circumstance that was not found by the jury while failing to find the aggravating circumstance that was found by the jury. ... This cannot be reconciled with Ring. The case is Evans v. McNeil, 08-14402-CIV-JEM. The petitioner was represented by Capital Collateral Regional Counsel. I see that the good professor did a good job last week at the conn. Some good news to report -- Judge Bob Scola will have his hearing this Wednesday, June 22, 2011 at the Dirksen Senate Office Building, Room 226, at 2:30 p.m. This is good news and it's good to see that his nomination is moving relatively quickly. But the three-judge panel soundly rejected his arguments in a scathing 163-page opinion that traced the plot from its inception to its downfall. The decision painstakingly recounted and then dismissed almost every objection filed by Hill and the others during the 31-day trial, which involved more than 100 witnesses and thousands of pages of documents. "Without Hill there would have been no conspiracy, no massive amount of mortgage fraud resulting from it, and no ruined lives in the wake of it," read the opinion. "He bore the greatest responsibility for the massive crime and deserved the longest sentence." Earlier this year the Supreme Court reminded lower federal courts that when the state courts have denied an ineffective assistance of counsel claim on the merits, the standard a petitioner must meet to obtain federal habeas relief was intended to be, and is, a difficult one. Harrington v. Richter, ___ U.S. ___, 131 S.Ct. 770, 786 (2011). The standard is not whether an error was committed, but whether the state court decision is contrary to or an unreasonable application of federal law that has been clearly established by decisions of the Supreme Court. 28 U.S.C. § 2254(d)(1). As the Supreme Court explained, error alone is not enough, because “[f]or purposes of § 2254(d)(1), an unreasonable application of federal law is different from an incorrect application of federal law.” Harrington, ___ U.S. at ___, 131 S.Ct. at 785 (quotation marks omitted). And “even a strong case for relief does not mean the state court’s contrary conclusion was unreasonable.” Id., 131 S.Ct. at 786. When faced with an ineffective assistance of counsel claim that was denied on the merits by the state courts, a federal habeas court “must determine what arguments or theories supported or, [if none were stated], could have supported, the state court’s decision; and then it must ask whether it is possible fairminded jurists could disagree that those arguments or theories are inconsistent with the holding in a prior decision of [the Supreme] Court.” Id., 131 S.Ct. at 786. So long as fairminded jurists could disagree about whether the state court’s denial of the claim was inconsistent with an earlier Supreme Court decision, federal habeas relief must be denied. Id., 131 S.Ct. at 786. Stated the other way, only if “there is no possibility fairminded jurists could disagree that the state court’s decision conflicts with [the Supreme] Court’s precedents” may relief be granted. Id., 131 S.Ct. at 786. Even without the deference due under § 2254, the Strickland v. Washington, 466 U.S. 668, 104 S.Ct. 2052 (1984), standard for judging the performance of counsel “is a most deferential one.” Harrington, ___ U.S. at ___, 131 S.Ct. at 788. When combined with the extra layer of deference that § 2254 provides, the result is double deference and the question becomes whether “there is any reasonable argument that counsel satisfied Strickland’s deferential standard.” Id., 131 S.Ct. at 788. Double deference is doubly difficult for a petitioner to overcome, and it will be a rare case in which an ineffective assistance of counsel claim that was denied on the merits in state court is found to merit relief in a federal habeas proceeding. This is one of those rare cases. Set a course for the Eleventh Circuit! Judge Seitz entered a $16.7 million judgment predicated on fraud in the inducement and negligent misrepresentation for Carnival Cruise Lines, represented by Greenberg Traurig and Fowler Rodriguez, against Rolls-Royce PLC. The suit is over a new high-tech steering and propulsion system appurtenant to the Queen Mary II. The jury had also awarded $8 million for breach of an implied warranty of workmanlike performance, but Judge Seitz granted the motion by Rolls-Royce, represented by Black Srebnick et al., for judgment on that claim. The jury rejected Carnival’s claims for breach of both ordinary and specific warranties and for unfair trade practices. Newspaper articles almost never give either the complete story or a case number, but I found it after abusing D.O.M.’s PACER account just a little bit. The verdict form is 10 pages long and reads a lot like an IRS 1040. As far as I can tell from that document and Judge Seitz’s order, the jury thought Rolls-Royce materially lied about the new technology. I know, I know. How is that not barred by the economic loss rule? According to the order, “Rolls-Royce ignores the fact that the parties did not actually have a contract.” Rather, Carnival bought the ship from a shipbuilder who bought the system from Rolls-Royce. I may be entirely out-of-date on this since it’s been a very long time since I did this kind of thing, but I think there’s a good argument that the economic loss rule applies regardless of whether a contract action lies against any particular defendant. That will be the Eleventh’s problem, I guess. Issues like this almost make me miss commercial litigation. Reviewing the 424-entries-long docket doesn’t. Specifically, the Physician Gag Law expressly restricts health care practitioners, in certain vaguely-defined circumstances, from asking patients questions related to gun safety or recording information from those conversations in patients’ medical records, on penalty of harsh disciplinary sanctions, including fines and permanent revocation of their licenses to practice medicine. A pot smuggler who skipped the country in 1979 got five years. This is big news today, I guess because 31 years is a long time to be gone, only to find yourself back in front of Judge King. New courtroom, though. New building, too. Named for him, you know. Roy Black has published a genuinely stirring account of the leader and inspiration that was and is Judge Phillip Hubbart. The essay is poignant and thought-provoking, aspiring to mirror the dedication to excellence personified by its subject. Highly recommended reading, in short. Ezell Gilbert, a federal prisoner, wants to have an error of law in the calculation of his sentence corrected based upon a Supreme Court decision interpreting the sentencing guidelines, even though that decision was issued eleven years after he was sentenced. Truly pregnant: There was an error. At sentencing. No one doubts that. Hell, the Supreme Court said so. But this guy, this “federal prisoner”, wants to have it fixed now.He wants us to correct a sentence eleven years later. Well, where’s it going to stop? How many more of he are there? All that follows is structured in the predictable way: “He” is a hapless, unrepetent, common criminal. The opinion preempts sympathy by pointing out that, even if he has a point, his sentence might well be the same—then graciously allows that it might be less. Ultimately, it erects “finality of judgment” as the bulwark shielding civilized and free society from such incorrigibles, even taking liberties with Justice Powell, having already violated Justice Holmes. The short answer to all of it: It is just the sentence, not the judgment, being challenged. Finality is not implicated. Once that dawns, lines like this seem ludicrous: “A federal prisoner’s right to have errors in the calculation of his sentence corrected is not without limits.” No? Well, why not? You can’t just apply the new Supreme Court case and reset the sentence? What’s the big deal? It’s not like anyone’s asking for a trial or anything. What must have driven Judge Hill to write the scathing dissent D.O.M. quoted at some length the other day is this reduction—this cheapening—of the judicial function from guardian of fairness to administrator of burdens. To claim that there is a higher value than ensuring that Americans are not capriciously incarcerated and that value is finality “of judgment” when really you mean “of penalty” is to abandon excellence as an aspiration. (And they know it; by violently distorting Holmes in ¶ 1, the majority seeks to cloak its abdication with excellence-by-association.) The fright for the future and lack of faith in our institutions that this abandonment symptomizes is so commonplace now that it escapes our notice—until we contrapose it with an image like Roy Black has painted with his essay. The SEC got a split verdict yesterday in a civil case tried to a jury before Magistrate Judge McAliley. The amended complaint alleged that four people bought Neff Rental stock after receiving inside information that the company was to be acquired. In December, two of the original defendants entered into settlements, signed by Judge Jordan, that included permanent injunctions against future violations of law. The SEC loves its permanent injunctions because they effectively reduce the burden of proof down to probable cause. But here’s a little nugget of law for defense attorneys and district judges (and future district judges): injunctions against violations of law are neither routine nor automatic. See S.E.C. v. Globus Group, 117 F.Supp.2d 1345 (S.D.Fla. 2000) (Jordan, J.). The defendant found not liable yesterday was Dr. Sebastian de la Maza, 71-year-old father-in-law to then-Neff CEO and Miami Law graduate Juan Carlos Mas. The theory of defense de la Maza’s attorneys, James Sallah and Jeff Cox, put forth was that de la Maza had followed the stock for years. And experts get knowledge how exactly? Key, a former real estate attorney who was serving time in prison, was called as a witness for the government, and he testified about mortgage fraud. Let’s pause and reflect for a minute on the fact that we live in a time where federal judges do not even blink when federal prosecutors do this sort of thing; it’s perfectly commonplace. The district court did not err in permitting Key to testify as a lay witness. Because the part of Key’s testimony that was elicited by the government was based on his own personal knowledge of mortgage fraud, which he had acquired through his experience as a former real estate closing attorney who had engaged in fraudulent transactions of that nature, he did not have to be qualified as an expert under Fed. R. Evid. 702. What? How do you possibly square that holding with the rule itself which specifically says that experts are people who gain specialized knowledge through “experience, training, or education”? Has no one on the Eleventh Circuit ever seen My Cousin Vinny? Torres on Tuesday approved a motion by Miami-based Timbaland, whose real name is Timothy Mosley, and Nelly Furtado, for summary judgment and refused to allow the Finnish group to seek an overdue copyright and amend its complaint. Can you make it sound even more boring? "We're very happy," said GrayRobinson partner Karen Stetson, who represents Timbaland. "We thought from the beginning that this issue was an important one and followed the plain language of the federal Copyright Act. But the other side was trying to get away from the plain language of the Copyright Act." Can you make it seem utterly crazy? Stetson, whose co-counsel was Jonathan Gaines from GrayRobinson, said her client spent hundreds of thousands of dollars on discovery and litigation. D.O.M. has been much pressed for time of late, so I’m going to look at some dissents he’s noted and ultimately make good on his promise to revisit Gilbert. These opinions present a problem I can’t tackle in a single post, so I have to proceed episodically. I want to suggest that what Stephen Colbert dubbed truthiness is spreading through the law like a nasty virus and that, whatever harm truthiness inflicts when spewed by politicians and propagandists, its employ in opinions may be even worse. And the dissenters are sounding the alarm. Leaves you dumbstruck, right? The law now considers a plain statement of fact—let the record reflect—to be a motion. If you’re the dissenting judge, what do you say to that? How do you explain how a record is made to someone who seemingly doesn’t grasp it from the word “record” itself? My first thought was that one could cite a few of the thousands of reported cases where a judge uses the phrase (and maybe for emphasis allude to the scene in My Cousin Vinny where the judge says to the court reporter, “Let the record reflect that counsel is holding up two fingers.”). A judge would hardly make a motion to himself (or to a court reporter), ergo the phrase must not signal a motion. Judge Wilson chose another tack. In addition to a couple of cases in which counsel used the phrase, he cited evidence gurus Mueller & Kirkpatrick for the proposition that a statement for the record is no motion. But he didn’t cite M&K’s authoritative five-volume Federal Evidence treatise. No, he cited page 17 of their law school textbook, the one I use to teach evidence to UM’s 2Ls and 3Ls. Maybe I’m seeing more than what’s there, but I think that when, in a published case, one judge disputes another judge’s holding with reference to a law school textbook, there’s a veiled message there. Readers of the blog always love when Professor Bascuas is posting. You'll have him all of next week. Enjoy! Although it's probably best not to advertise the issue for fear of abuse, people partial to skirts, dresses and kilts have a right to know about the risk, Lynch said. U. S. 137 (2008); Chambers v. United States, 555 U. S. 122 (2009). We try to include an ACCA residual-clause case inabout every second or third volume of the United States Reports. As was perhaps predictable, instead of producing a clar-ification of the Delphic residual clause, today’s opinion produces a fourth ad hoc judgment that will sow further confusion. Insanity, it has been said, is doing the samething over and over again, but expecting different results. Four times is enough. We should admit that ACCA’s residual provision is a drafting failure and declare it void for vagueness. See Kolender v. Lawson, 461 U. S. 352, 357 (1983). We face a Congress that puts forth an ever-increasing volume of laws in general, and of criminal laws in particular. It should be no surprise that as the volume increases, so do the number of imprecise laws. And no surprise that our indulgence of imprecisions that violate the Constitution encourages imprecisions that violate the Constitution. Fuzzy, leave-the-details-to-be-sorted-out-by-the-courts legislation is attractive to the Congressman who wants credit for addressing a national problem but does not have the time (or perhaps the votes) to grapple with the nittygritty. In the field of criminal law, at least, it is time to call a halt. I do not think it would be a radical step — indeed, I think it would be highly responsible — to limit ACCA to the named violent crimes. Congress can quickly add what it wishes. Because the majority prefers to let vagueness reign, I respectfully dissent. Yup, it's been a whole year since he pled guilty. Rule 35 requires prosecutors to file a motion to reduce a defendant's sentence based on cooperation withing one year. Well, they just got it in, filing the motion to reduce the 50 year sentence yesterday. The government didn't ask for a specific amount of time off of the sentence. So we will have to wait to see what kind of reduction Rothstein gets. 1. Barzee and Pettus are still waiting for a verdict. Attorneys for four military equipment company executives accused of trying to bribe Gabon government ministers to win contracts sought to undercut the government’s chief informant in the case in Washington federal court Tuesday, alluding to his past appetites for drugs and prostitutes. Federal Bureau of Investigations agent Christopher Forvour, the lead case agent for the FBI’s sting operation, admitted to Matthew Menchel, attorney for defendant Pankesh Patel, that the FBI knew about informant Richard Bistrong’s previous habits of using cocaine and frequenting prostitutes, which predated his time as an informant. 3. Miamian Nevin Shapiro got 20 years in New Jersey for a billion dollar Ponzi scheme. 4. Health care is being argued in Atlanta today. 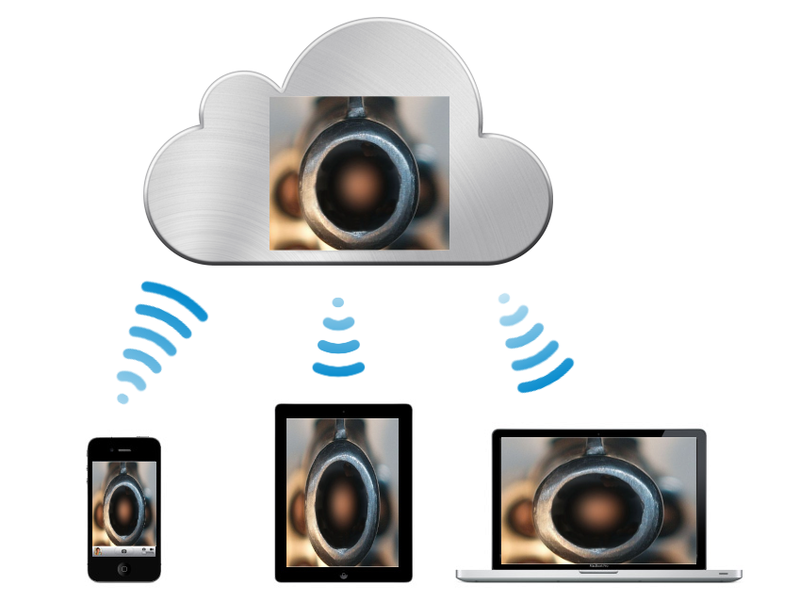 Apple announced its upcoming iCloud service yesterday. This is great news for those of you who live on or frequent Miami Beach. Soon, when the police smash your phone to avoid public scrutiny and accountability, you won't have to preserve the evidence by sticking the SIM card in your mouth. 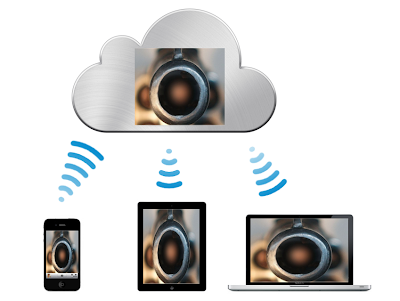 Your iPhone will automatically upload the gunplay and mayhem and send it to your iPad and MacBook. We live in wondrous times. Snipes started a three-year term in a federal minimum security prison in December. He has appeared in dozens of films, from "White Men Can't Jump" and "Demolition Man" in the early 1990s to the blockbuster Blade trilogy. Snipes wanted his trial held in New York City, where he says he lived, but the government brought charges against him in Florida, where Snipes held a driver's license. The lower courts refused to let him have an evidentiary hearing on this issue. Jeff Tsai was one of the five lawyers who signed the 19-page indictment against Edwards. Tsai is now at the public integrity section at DOJ in DC. I like Jeff, and he was one of best dressed lawyers in the USAO, but I think the indictment is one of the weakest I have ever read. It will be interesting to see how it develops. I'm happy that Edwards is fighting it and that he didn't plead. The jury in the SDNY insider trading case is apparently sending all kinds of notes, asking for definitions of terms and other itmes. Bill Barzee and "Country Dave" Pettus have to just sit and wait and it's not easy. Fridays are always the toughest day waiting for a verdict. You don't want the jury to feel rushed, but the weekends are always difficult for not guilty verdicts. Here's the latest article, which basically says the jury is deliberating. pursuing a federal judgeship is not for you. The prosecutors had asked for 2 years and Mendelsohn's lawyers asked for probation. Zloch expressed disgust over the “pay to play" world of Tallahassee politics that Mendelsohn described at his plea hearing in December. Mendelsohn, initially indicted in September 2009 on 32 fraud charges and later on five tax offenses, had been facing trial in January. His plea was the ending to a high-profile influence-peddling investigation that stretched from South Florida to Tallahassee. It started when the self-made power broker bragged about his purported connections to then-Gov. Charlie Crist and his inner circle, saying he could get them to kill legislation and investigations that would hurt a Fort Lauderdale viatical insurance business called Mutual Benefits Corp.
UPDATE -- I've mentioned previously that I don't think judges should be permitted to sentence someone above the plea agreement's terms (see, e.g., here, here and here). If the parties in an adversary system agreed that the defendant in this case deserved somewhere between probation and 2 years, a judge should respect that contract or allow the parties to withdraw from it. "He isn't accepting responsibility when he says, 'Everybody was doing it,'" Butler said. "That's just not going to cut it." "It is totally inappropriate for the court to give what would amount to a slap on the wrist," Zloch said. "The corruption of public officials, those who took an oath to uphold the law, leads to contempt for the law." Mendelsohn himself apologized profusely, but also said he was proud of health-related state legislation he said he pushed for and noted that since his 2009 indictment "words just can't describe the devastation" suffered by his family and business. "Who was responsible for this devastation?" Zloch asked. "I was," Mendelsohn replied. "I am really, really, really, truly sorry." "Your honor, on behalf of Zvi Goffer, we'll rest." A former Galleon Group hedge fund trader did not put on a defense at his insider trading trial, and the judge said the jury will hear closing arguments in the case on Wednesday. A defense attorney for 34-year-old Zvi Goffer, who once worked at Raj Rajaratnam's Galleon Group and two other trading firms, told the Manhattan federal court judge on Tuesday he would not present evidence or call witnesses to defend his client. The trial is in its third week. It started days after a jury in the same courthouse convicted Rajaratnam of 14 counts of conspiracy and securities fraud in the biggest Wall Street insider trading trial in years. Go Heat and Go Bill Barzee!